CLUTCH ANNOUNCES SPEAKING SOCIALLY MEDIA AS TOP APP DEVELOPER IN U.S.
Clients have always come first to our team. We knew going into our business that our company’s success would not only land in the people we’d hire, but also in who we’d provide our services to. Not too long ago, we started working with a research company called Clutch that also understood the importance of the client experience. Clutch runs a data-driven, ratings and reviews platform solely focused on the B2B market. Its overarching goal is to provide detailed insight into a company’s performance from the client perspective, all to help new business buyers find their perfect vendor. Their team of business analysts evaluate the thousands of vendors on their site, taking elements such portfolio of work, presence in the industry, and most importantly, client satisfaction into account. To gather their data, analysts conduct one-on-one interviews with clients, asking questions about the challenge each business was facing, the services that were provided, the impact our services had on their company, and how we performed as a team overall. 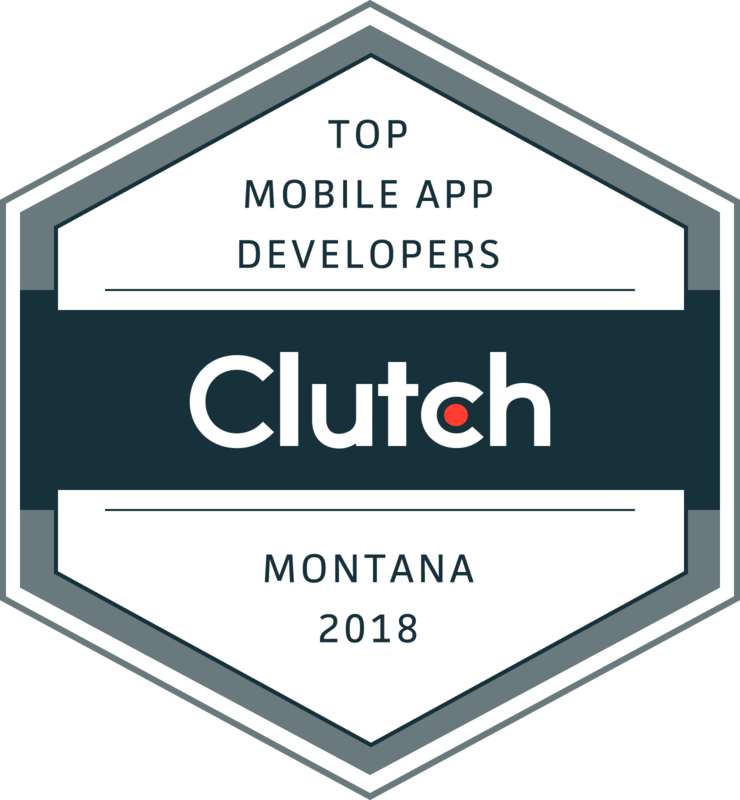 Through this thorough analysis of our company, Clutch identified us not only as a 5 out of 5-star company, but as one of the best-performing mobile app development companies on their platform. Below you’ll see us specifically representing Montana as the #1 app development firm. With our great success on Clutch, we’re equally as thrilled to have been one of the first app developers featured on their new affiliate website, Visual Objects. This portfolio-based platform will further showcase our team’s products, set of skills, and high quality of work. The recognition our team has earned continues to motivate us into the new year, where we fully expect to prosper in new projects. If there’s an idea you have in mind, don’t hesitate to reach out. We’d love to hear it. If you have any questions regarding mobile application development, make sure to call or email our team today! Want to know what Facebook has on you?